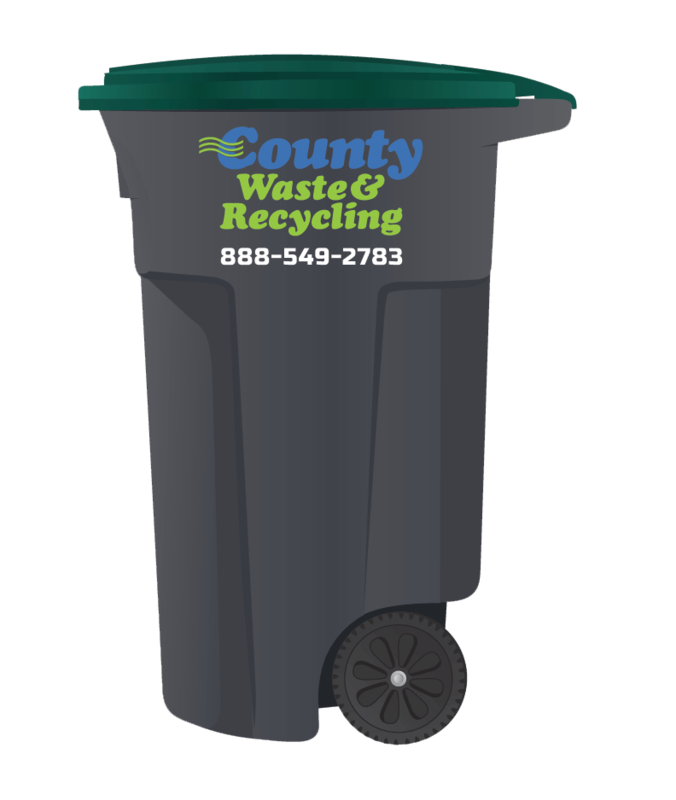 Single Stream Recycling (SSR) by County Waste and Recycling lets you put all your recyclables into one, large, green-lidded container that rolls right to the curb. It’s the easiest way to recycle ever. All Plastic Bottles & Containers (#1-7) with Caps & Lids ATTACHED. All Office and School Paper. Easier for you — No sorting or separating, no blue bins to carry, protection from animals and wind, and weekly pick-up service. Better for your neighborhood — Your new, single container looks and functions much more neatly than the old blue bins. Better for the environment — Communities are recycling more, some by a margin of 24%. This means less garbage ends up in the landfill, and one truck instead of two in suburban and rural areas lowers fuel consumption and carbon emissions. 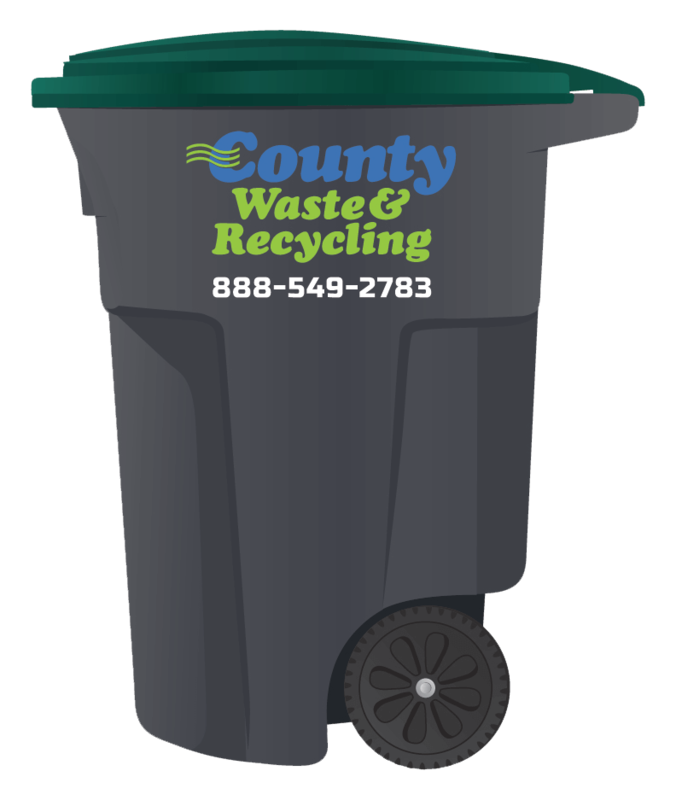 Better value — County Waste & Recycling rates are already highly competitive, and SSR is included in the residential monthly rate for trash removal. From your home, it will be transported to our new, state-of-the-art processing facility near the Port in the City of Albany. There, conveyors, magnets, rollers, screens, and other technologies separate the recyclables by type and bundle them for shipment to the places that will use them to make new products. The night before your service day, please place your recycling cart at least 5 feet away from your trash cart so our automated trucks may easily collect your trash and recycling. Q: Where do the Single Stream materials go to be recycled? A: We own and operate Sierra Processing, a state-of-the art single stream recycling sorting plant in Albany, NY. It is the only recycling sorting plant in the Albany area. A: When you sign up for new service we can help determine which size will work best for you. 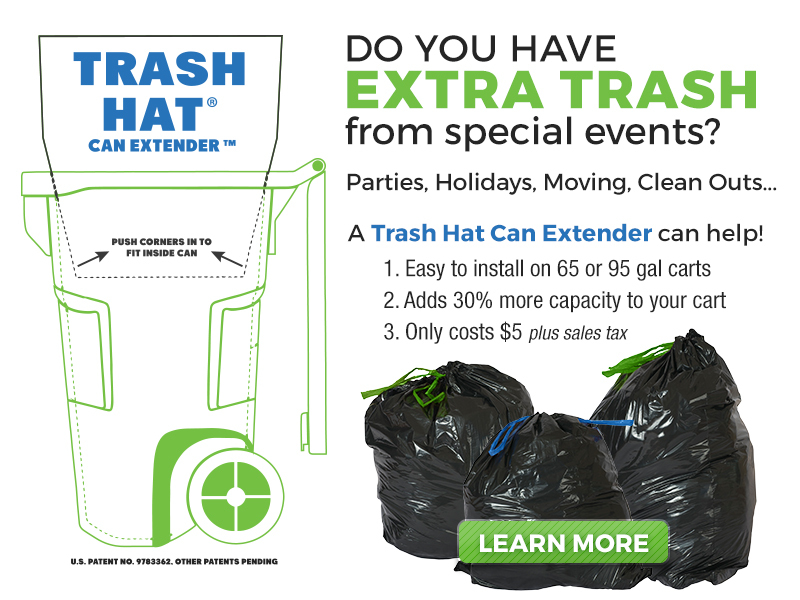 Please call us at (518) 877-7007 or (888)-54-WASTE and we will assist you. A: Yes, but only if the shredded paper is placed inside a clear plastic bag with the top tightly secured before going into the new SSR green-topped recycling container. A: No. Styrofoam does not currently qualify as a SSR acceptable item. A: Contact County Waste & Recycling at (518) 877-7007 or (888)-54-WASTE to speak with one of our helpful customer service representatives.